The criteria for these awards are based on extensive research on key factors that contribute to and characterise outstanding performance. This research can be found here: Aspiring to Excellence, a Security Research Initiative report conducted by Perpetuity Research. The OSPAs are being set-up in collaboration with security associations and groups across many countries. By researching and standardising the award categories and criteria, the OSPAs scheme provides an opportunity for countries to run their own evidence based OSPAs schemes while maintaining an ability to compete on an international level in the future, ‘World OSPAs’. Independent: The OSPAs are independent. 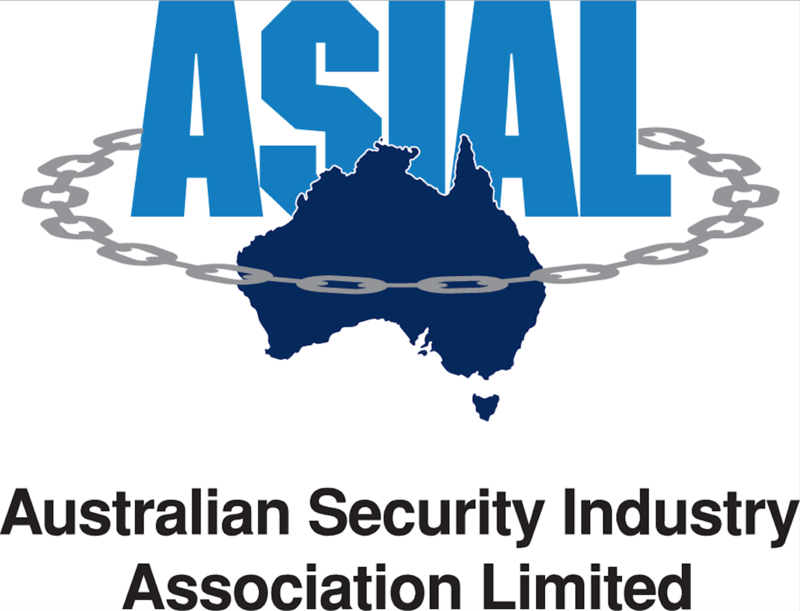 You don’t have to be a member of an association to be involved – anyone from the security sector can enter a category which is relevant to them. The only requirement is that you have shown outstanding performance in your field. Credible: The criteria for each award category have been carefully considered and based on extensive research across different security sectors and by looking at how outstanding performance is recognised and judged in other fields. There is strict criteria for who is appointed as a judge and for ensuring that judging decisions are fair and impartial. Representatives from each country will assess entries and make the final decisions on the winners. Transparent: We want everyone to know the criteria for entering, how judges are selected and how the judging process works, so these details are published on the website. Respectable: The OSPAs will become a worldwide brand, generating honour and opportunities for our winners. Furthermore, winners will be widely recognised as driving outstanding performance across the sector. Credibility– you will become part of an evidence based scheme which understands what ‘outstanding performance’ really means, and recognises it. Gain Recognition and Brand Exposure – by joining the OSPAs you will become part of an international scheme recognised across the industry. Value – by entering the OSPAs you will show people that you recognise the value of the security work carried out by your business. Industry Benchmarking– you will be able to set yourself apart from the competition by committing to a scheme which rewards evidence based achievement and is committed to openness and credibility. Business and Networking Opportunities– The OSPAs will bring together people from all over the industry, you’ll have the chance to meet new people and make important industry contacts. The Awards Night– you will be a part of a brilliant and enjoyable event, that will be one of the premier nights on the security calendar. Winners– You have the chance to become the winner of an OSPAs award, and to be promoted on both your country’s OSPA website and the Global OSPAs website. Anyone working in the security sector of a country with an OSPAs scheme can enter. You don’t have to be a member of an organisation or association to do so. The main criterion for entry is that you can show that you or your company have performed at an exceptional level. You are permitted to enter more than one award category. It is very simple to enter the OSPAs there are two simple questions to answer for each category and it can all be done online or via email. For more information on OSPAs programs in other countries click here. Make the process for selecting the judging panel publicly available and provide routes for public feedback concerning the suitability of judges for inclusion on the OSPAs panel. Each judge is a security expert with experience and knowledge of working within the country’s security sector. Judges are shortlisted by partner organisations working with the OSPAs and then independently reviewed by the international OSPAs team. The judges mark all entries against the criteria set out in the category requirements (viewable on the ‘Enter’ pages) and the highest scoring entry following the judging will be the winner. Entries are assigned to judges randomly, however, they are reviewed prior to distribution and not assigned to judges where there may be a conflict of interest or any association between entrant and judge. All judges follow a strict code of conduct which can be found below. The judges’ shortlist is announced prior to the awards event, however the winner of each category will remain a secret until the night of the awards. The Judges Code of Ethics is set out to define the standards required of an OSPAs judge. This is in order to maintain the core values of integrity and impartiality. There is an obligation on all parties to observe the highest standards of integrity and all judges and officials who act on behalf of the OSPAs must accept the importance of establishing and maintaining appropriate ethical behaviour. By becoming a judge that person has agreed to the Code of Ethics. Judicial Independence – Judges must uphold and exemplify independence. Their decisions must not be based on extraneous influences, and they must reject any attempt to influence their decisions. Integrity – Judges are an integral part of the OSPAs schemes and therefore must conduct themselves with integrity to ensure they are above reproach in their own business in the view of fair minded, informed people. Diligence – Judges must commit to providing time to ensure that all entries they receive are judged fairly and are considered equally. Equality – Judges should carry out their review without discrimination. Impartiality – Judges should aim to remain impartial in the judging process, and review entries purely based on the quality of the evidence provided to them. If you have any concerns regarding an OSPAs judge then please contact us. The ‘Entrants’ Code of Ethics’ is set out to define the standards required of an OSPAs participant. This is in order to maintain the values of integrity and impartiality within the awards scheme. Before submitting an entry to the awards the conditions of entry must be read and accepted. Entrants must be operating in Australia to enter the Australian OSPAs. Entries must be submitted through the official form on the website, by email, or through procedures set down by an official OSPAs partnership organisation. Entrants must complete the entry form to the best of their ability and must use accurate and honest information. If any information is found to be inaccurate the entrant will be disqualified. A company or individual can enter more than one award category, providing all the requirements are met. The evidence presented in each award category needs to show outstanding performance in that category. Any attempt to gain unfair advantage at any point during the process will result in immediate disqualification. The OSPAs judging panel are responsible for awarding the winners of each category. Their decision is final and no correspondence will be entered into. The decision of the judges must be respected and by entering the OSPAs entrants accept this condition. All entries to the 2019 Australian OSPAs must be received before the deadline of 26th August 2019. Entries received after this time may be disqualified. Please note that we do not anonymise the entries anymore. Our experience has led us to let the judges see the entry in full so that they can help ensure that no OSPA is awarded to anyone disreputable. That stated, please be assured that judges will mark the entry based only on the information that has been provided. By limiting the entry to short text based answers the OSPAs aims to create a level playing field where small and large companies can compete fairly. Moreover, we have found that long answers are not necessarily good ones and being required to think about and focus on the information most relevant to the judges can be helpful; it is quality not quantity that we value. Entrants accept that by entering the OSPAs their entry is subject to scrutiny by the OSPAs team and the judging panel. Entrants must be prepared to submit additional evidence or provide reasonable support for any relevant points raised or answers to any queries that may arise. All entrants must accept that all those shortlisted for an OSPA will be published and company or individual details may be used in pre-event and post-event publications to recognise the awards. All those shortlisted are expected to attend the awards ceremony, or send a representative on their behalf who can collect the OSPA if they become a winner on the night. The OSPAs reserves the right to use all or part of the material entered in the competition for promotion of the awards. Under no circumstances shall the organisers be held responsible for the payment of royalties or other charges for the use of materials provided in support of the awards. All entries become the Property of the OSPAs on submission. No entries will be returned. Entrants accept that the OSPAs team reserves the right to not award a category if circumstances deem that necessary.